We all have to start the big leagues of film making somewhere, and for the director of "Mama," this film is a great place to start. Based on his own short film, director Andres Muschiett, while under the watchful eye of Executive Producer Guillermo Del Toro, has brought us a horror film, that although is not perfect, does deliver what we go to see films like this for, shock and fear. Like other films, that Del Toro has attached himself to, this one also involves children, as well as a mysterious, and typically malevolent being that has a hold on two young girls. The film stars Nikolaj Coster-Waldau ("Game of Thrones"'), and Oscar Nominee Jessica Chastain ("Zero Dark Thirty," "Lawless," "The Help," and "The Debt") and two young actresses that just exude an aura of creepiness. "Mama" is about two young children left in a cabin in the woods for five years, and have finally reentered society. However, they brought something back with them. 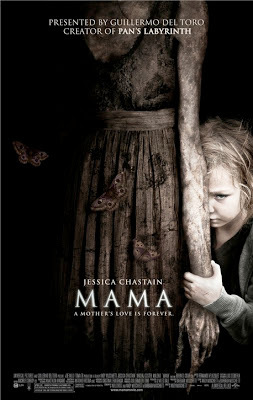 Like other recent horror films, "Mama," is rated PG 13. The first act begins about five years ago in about 2008 during that horrible economy we all remember like a bad memory, with the father of the two young girls killing his financial partners and then his ex-wife. The girls, waiting in their pink girly innocently decorated bedroom, unaware of the violence going around them, finally see their father, who in a frenzied state, takes them on a wild ride into the snow covered mountains where they finally end up crashing their car off the side of a cliff. Finding shelter in a run-down cabin, the father plans to commit murder-suicide. At that moment, a hideous, dark, mysterious creature whisks the father away and prevents him from committing a horrible crime. A note here to the viewer; the girls, played by two or three actresses each, Victoria the oldest is played first as a three year-old by Morgan McGarry, and by then by Megan Charpentier ("Resident Evil: Retribution," "Red Riding Hood") and the younger child, Lilly, as a baby is played by twins Maya and Sierra Dawe. As a six year-old Lilly, she is played creepily by Isabelle Nélisse. Horror movies, especially ones where Guillermo Del Torro is involved, seem to want to capture an innocence lost, or in this case, the bonds between a child and the need for a parental figure in their life. In 'Pan's Labrinth', the loss was a loving father, in "Don't Be Afraid of the Dark," the loss is of a loving mother figure, and here in 'Mama,' the figure missing is the mother. "Mama's" second act starts five years later in the present day, and the children's uncle Lucas (Coster-Waldau plays both the uncle and the father, Jeffery), and Annabel Chastain), his dark, bass playing, hard rock, tattooed girlfriend take in the two feral children. Lucas and Annabel are both artists whose lifestyle is not necessarily conducive to child rearing are also having their own fears about starting a family. The girls, as part of their transition back into civilization, become the research subjects of Dr. Gerald Dreyfuss (Daniel Kash - "Aliens"), a child psychiatrist whose motives seem questionable at times. Especially when he agrees to support Lucas and Annabel in a custody lawsuit against Jean, the aunt of the girls dead mother. Dreyfuss wants complete access to the kids for his research project and later a book, in return he offers Lucas and Annabel the All-American suburban setting -- house and all. What becomes apparent in this act is the fact that although the girls are adjusting out of their feral ways and acting more human, Lilly, is struggling with her new settings and is downright strange. Older sister, Victoria, who has had bad eyesight since she was three, and had lost her glasses during the car crash with her dad five years earlier seems torn between her loyalties to her uncle and her new mommy figure Annabel, and the mysterious entity the girls call Mama. The first and second acts do their jobs very well, they introduce the plot, build the characters, and shows us the need for the children to live normal and happy lives. We see Lucas malevolently man-handled and who ends up in the hospital, leaving the child rearing to Annabel. Annabel, a person who not only doubts herself as a mother figure, but also doubts herself as an adult. Clearly in her thirties or quickly approaching thirty, she struggles with her inability to bond with a child and clearly sees this as a reason why she an Lucas have not started a family. 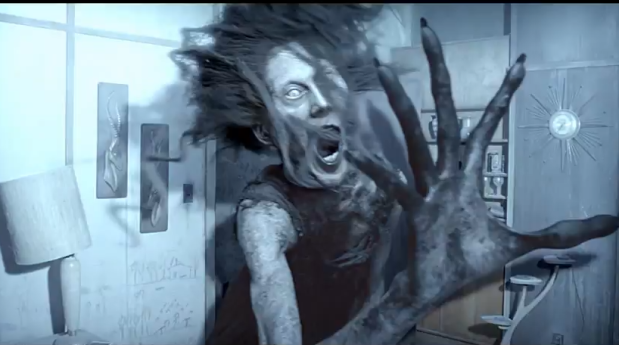 Because of the quick pace, that director Muschietti and Editor Michele Conroy keep through the first and second acts we don't explore Annabel's emotions too deeply and perhaps that is what keeps this film from going a level deeper. 'Mama's' third act continues at a wild pace but quickly slows down and allows the reader to catch his or her breath. The climax of "Mama" is, in my opinion, mixed. There are parts of this film that seem inconsistent in both story and in the acting. However, in the third act is where the film is made or unmade. We come to understand the relationship the girls have with Mama, we see certain things that explain who this creature is and its need for the children, and Chastain's character’s need to find the mother within and save the children. There is a Lovecraftian notion to never show too much of the monster, just hint at it. Muschietti does an excellent job of this for the first two acts, using real life creatures and makeup to display his horror, however, it is at the end that he filmmaker tend to rely too much on CGI to tell the story for them. I enjoyed a great deal of the one hour and forty minutes, and although the ending was not a complete letdown, I did wish for something a bit more. My personal notion is that if you are going to make a horror film, go all the way and make it R-rated and pull out all the stops. Hell, even if it is cheesy and gory take out all the stops. 'Mama,' on the other hand is rated PG-13, however, "Mama" does provide the audience with the thrills, the shock, the horror, and catharsis that we go to see films like "Mama.". A love letter from an old friend. 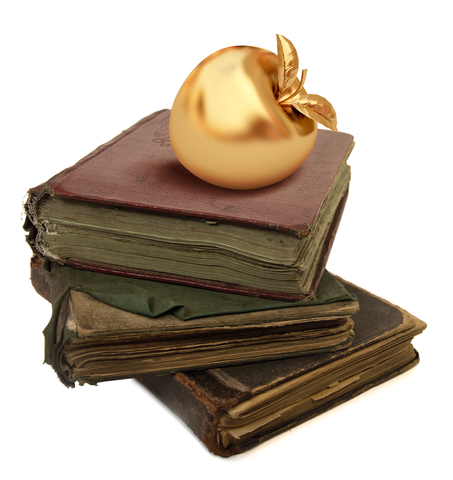 Sitting on your shelf, gathering dust, I was new once, now my ears are dogged, torn and I am tired, yellowed and faded. I remember when you found me, how thrilled you were when first you saw my face, and you held me to your heart. We spent treasured times together, hours upon hours traveling through time, traveling through space, flying across the desert plain, across to the mountains and past the sea. I heard you laugh, I heard you cry, the smile on your face at the happy times, the tears running down your cheeks, the grief and pain. Every day with you was like a new chapter of a book, new and exciting, bright and fresh. Now our time together come less frequently, you have learned much from me and need me less. You grab me from time to time, reaffirming our friendship, if only for a short while. I come to life when you think of me, I awake from my sleep and for a while there is no death, there is no end. I saw you the other day, you came around, but you didn't come for me. Instead, you put another one of my kind upon this shelf; we sit here sharing stories of the times we spent with you. How lonely we are together, without you. We miss you, but we know that you love us, you cherish us, you will never forget us. We know these things and many more because you have not discarded us, or gave us away. On your shelf we stay, till you want to read us again.